This means that my regular posting schedule will start on October 14. I went on my first writing retreat with SCBWI. We went to a monastery in Northern Missouri, and aside from getting caught in the worst thunderstorm of my life during the drive back, I had a freakin’ blast! I’m currently working on some major revisions (again), but hey, that’s just how an author’s life goes, right? My first audio book released this past month! If you love to listen to books, check out Bad Bloods: November Rain, now available through Audible. The narrator, Jonathan Johns, is amazing. In fact, in order to get the characters *just* right, he had the opportunity to learn some behind-the-scenes info no one else knows. So I hope you’ll check it out and enjoy it! You can already listen to a sneak peek of the November Snow audio book here. How cool is that? Please leave a review! Special thanks to everyone who came out to Barnes & Noble in Kansas City for BFest! I really enjoyed meeting you all, and I can’t wait to see you again next year. If you’re in the KC area, you can still pick up a few signed copies at the Zona Rosa store! I am working hard at setting up publications for 2018, I promise, but I have to be honest about something else. I originally talked about this in my newsletter, but I’m having some health issues. I’m not dying or anything, so please don’t worry too much, but I don’t want to share details. That being said, I find out in March if treatments are working. Until then, I’m hanging on. I will let everyone know as soon as I know about more publications, but please understand if 2018 isn’t very exciting. I really need to concentrate on my health. But, hey, I received my author copies of Bad Bloods: July Thunder and Bad Bloods: July Lightning! I hope you’re enjoying the newest duology in the Bad Bloods universe! If you’re curious what happens next in the Bad Bloods series, I have been working on the next books. October Blood and October Bone are told by Ami and Skeleton, and focus largely on the Highlands after a certain (very important) character is killed. But that’s all I’m saying for now. If you love this series, be sure to share it and leave a review. Every review helps me more than I can express. 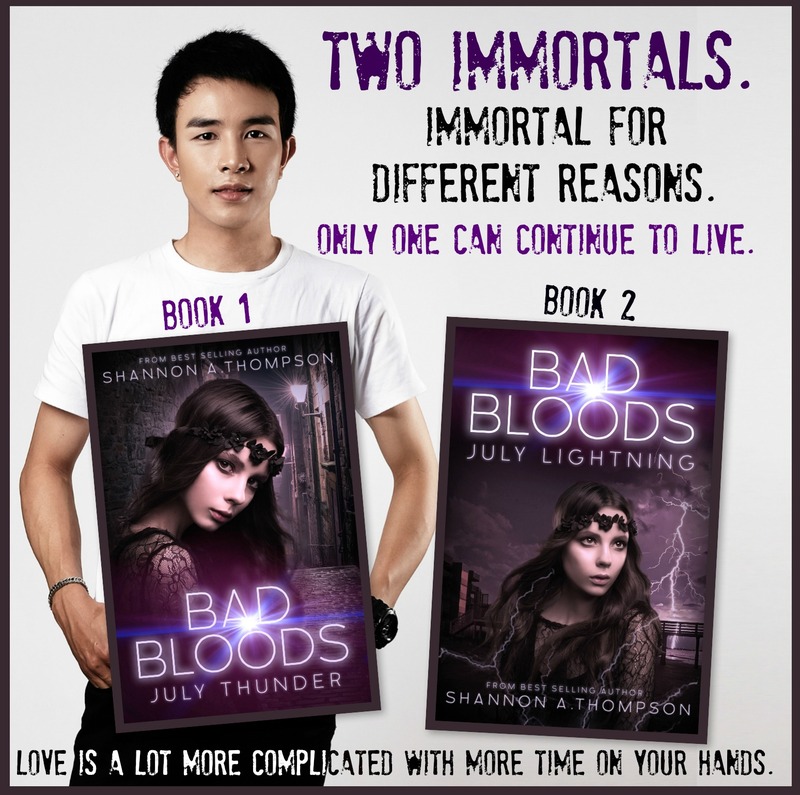 In fact, if you’re a blogger and interested in reviewing Bad Bloods, feel free to e-mail me at shannonathompson@aol.com for a review copy! And last but not least…Can you believe my five-year anniversary for blogging happened? Thank you for sticking it out with me these past couple of years. 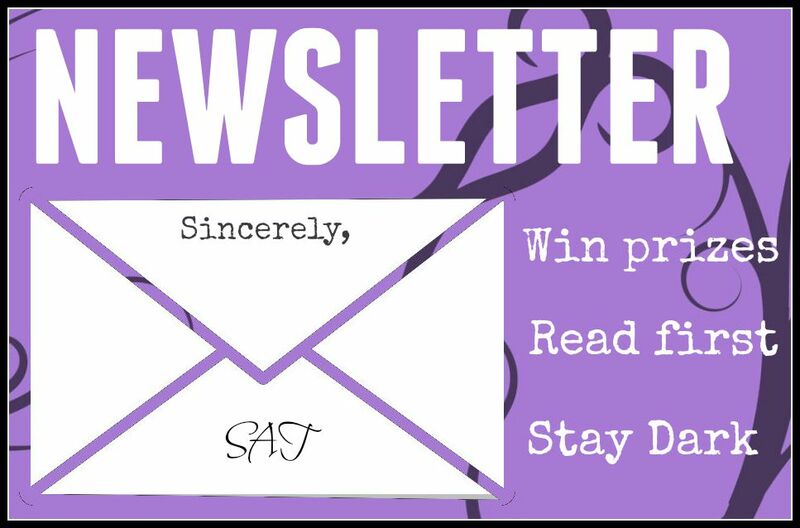 I hope you’ve enjoyed learning about writing, reading, and publishing. I know I sure have! You all are the light of my life, and I’m glad to be back. I’m back! (As promised.) 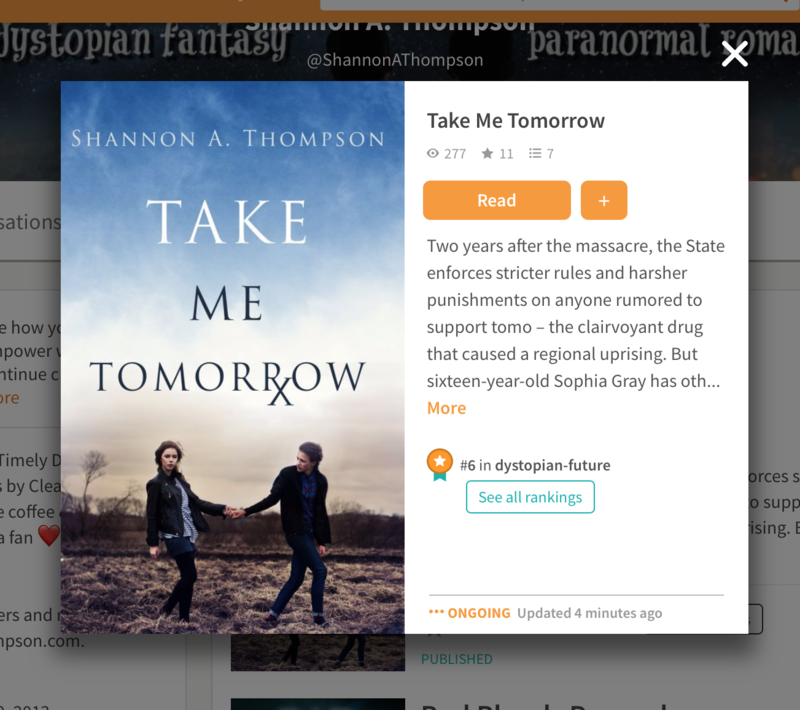 And below, you can read about new changes coming to www.ShannonAThompson.com. I will post articles only on Mondays. These articles will be brand-new writing tips and publishing advice across various spectrums. I am discontinuing my Website Wonders and Ketchup series, and I’m officially stepping away from Coffee & Cats, my YouTube channel. I know how many of you love YouTube and want me on it—and I promise to try to make a video every now and then—but YouTube is extremely time-consuming for me, and I think that time would best be served in finishing my next books…which brings me to this. Between my day job and writing, I don’t see many weekends…or even step outside my house that often. And I think living life helps writing just as much as continuing to write helps writing. I need more time to do both. By cutting back on social media and blogging, I will be able to finish books faster, schedule more signings, read more books, and cuddle with my three gremlins. I mean, my cats. I look forward to these changes and to the new, upcoming year. See you around the blogosphere. Did I mention Bad Bloods is on sale during November? Get the entire Bad Bloods series for only $2.99 today! I mean, really, what better time to read books set in November than in November? First and foremost, Dreammare—my YA fantasy—moved on in Adventure’s in YA Publishing’s Red Light / Green Light writing competition! That means I’m in the TOP FIVE! I am thrilled to be here, and I’ve loved reading everyone’s work so far. Next week, the winner is announced, and honestly, these manuscripts sound bomb. Check them out. Also, you’ll get to see more of what Dreammare is about. I’m writing Bad Bloods 3—July Thunder/Lightning—and though I’m aiming for it to be one book instead of two this time, the Bad Bloods books are generally 600-800 pages long, which is why it has two titles like November Rain and November Snow. If you’re reading Bad Bloods: November Rain—because it’s OFFICIALLY OUT—then you might pay attention to the wall separating the Highlands and the outskirts. Bad Bloods 3/4 will focus on this part of the political spectrum. If you’ve read Bad Bloods, then you know a huge factor of my latest work was WWII and the horrendous genocide of many types of people. The next Bad Bloods book is no different. I’m definitely influenced by major political events of the world and history, so the Berlin Wall largely affected this next segment. If you want to learn more about the Berlin Wall—because something I quickly realized while writing this book is how much I DON’T know about the Berlin Wall—watch this short documentary. I will try to release new information about the book every week. I’m currently 10,129 words in and on July 4, 2090. Also, I wrote Blake’s origin story for the FREE Bad Bloods Prequel on Wattpad, so if you ever wondered how a blond-haired, blue-eyed baby boy ended up in the Northern Flock (and how a preteen flock handled it), it will release July 29. My goal is to also have a prequel for July Thunder/Lightning, because trust me, you’re getting a whole new cast of characters there, too. BAD BLOODS: NOVEMBER RAIN IS OUT! (Is all capitals reasonable? I think so!) For release week only, you can get Bad Bloods: November Rain for only .99¢! That’s quite the steal…especially since Bad Blood: November Snow releases THIS Monday! What is the latest reader saying? Bad Bloods: November Rain OUT NOW! I picked up and finished A Thousand Pieces of You by Claudia Gray in one sitting. This book is sci-fi perfection. I cannot believe I waited so long to finally read it, because it is officially one of my favorite reads so far this year. I already cannot wait to get my hands on the sequel, but I highly recommend this book if you love YA sci-fi, multicultural casts, and romantic subplots. Also, dimensional travel! Are you kidding me? This book is awesome. Basically, you jump from dimension to dimension—worlds only slightly different from ours—and you jump straight into yourself. So, you control your other life…which has some interesting effects. Though the premise and protagonist is interesting enough to propel the story forward, the overhanging mystery of a murder is engaging and thrilling. The ending is satisfying. I absolutely recommend this read. Favorite Quote? I meant it when I said I didn’t believe in love at fight sight. It takes time to really, truly fall for someone. Yet I believe in a moment. A moment when you glimpse the truth within someone, and they glimpse the truth within you. In that moment, you don’t belong to yourself any longer, not completely. Part of you belongs to him; part of him belongs to you. After that, you can’t take it back, no matter how much you want to, no matter how hard you try. Read my full five-star review here. I’m also starting An Ember in the Ashes by Sabaa Tahir, so expect that review next week. The female protagonist of Bad Bloods: July Thunder/Lighting picked her favorite song, and she has not let go of it. Like everyone else this week in the Netflix world, I binge-watched Stranger Things, and I LOVED it. I mean, I wished we had more small town stories in fiction. Considering 90% of the US doesn’t live in Chicago, New York, or LA, I’m amazed that 90% of fiction seems to only take place in the big cities. Watching this Indiana paranormal/horror tale was awesome, and I loved how nostalgic everything felt. Down to the cinematography, Stranger Things FEELS like the 80s. Definitely recommended. To celebrate release day, I went to the theatre and saw Swiss Army Man. Honestly, I had no clue how I would feel seeing this movie. (Farting is not my type of humor.) But without a doubt, I would recommend this movie to pretty much anyone. It’s hilarious, it revolves around philosophy, and the ending is phenomenal as much as it is emotional. I don’t want to spoil it for you, but the ending is both fantastic and sad—and it opens room for really important discussions. A must-see film. As per tradition, I baked chocolate chip cookies on book release day. I wore my Pokemon T-shirt this week, which was really bizarre. I mean, I wear this shirt all the time. I bought it two Halloweens ago, and nearly everyone scoffed at it. Now that Pokemon Go is out, I couldn’t be cooler. I even had a discussion with a stranger at the grocer store about it, which basically went like this. Conversations like this really throw me off guard. I’ve always loved what I love. I feel sorry for those who don’t. I feel sorry that we live in a society that shames people for liking things like books, arts, and movies. So, I hope you’re enjoying something you love today. Well, obvs. I want Ten Thousand Skies Above You by Claudia Gray. There was this magical world divided into four sections, but the ones discussed were basically heaven, hell, and earth, though they didn’t work like our belief system. You could visit any of them at any time, and it had nothing to do with death and life. It was more symbolic than anything. Though, I played the part of this blond girl who’d been turned into a vampire? Which meant I had to live in hell, of course, and my best friend needed to escape to heaven, so we were going to escape together. We built this crazy slingshot, but it only shot him into heaven and I got stuck in hell. Yepp-ee! Eventually, I made more friends, and we moved to earth legally and without any problems, but my best friend didn’t know I was a vampire somehow? So when he came down from heaven to see me, he was shocked but ultimately didn’t care, because his sister was missing. (I know. This makes no sense.) So, we all went on this otherworldly adventure to this fairy’s house, and we had to climb a bunch of gigantic flower pots that had miniature water falls. And the entire time I kept thinking, Of course this would be a fairy’s house…and it’s really not handicap accessible. Which is messed up. But we finally got inside, where the fairy was throwing a birthday party for her daughter. (I also noticed this home plan was completely open, no walls, no room unattached from another.) Most curious of all, the fairy didn’t know why we came in through her garden. The front door was easier. ::facepalm:: I woke up.